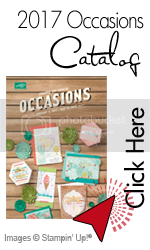 It's Occasions Catalog Plus Sale-a-bration Time! 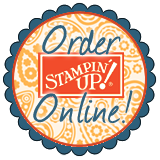 Wow -- there is a lot of goodness packed into the launch of two new Stampin' Up! 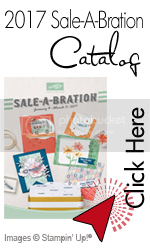 catalogs in one day: the Occasions seasonal catalog and the Sale-a-bration mini full of fun items to earn for free with purchase (in the U.S. you get a free SAB item for each $50 spent from today through March 31). A great way to earn free Sale-a-bration items is through a pre-paid subscription to our Paper Pumpkin Monthly Kits -- and the three-month subscription is an even better deal right now. Get a pre-paid 12 month subscription and you'll earn Stampin' Reward perks plus choose FOUR free SAB items. Take it to the next level with a 12-month prepaid subscription. 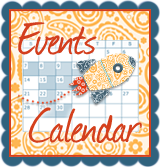 Save over $2/month from the everyday awesome price, earn Stampin’ Rewards, and instantly qualify for 4 FREE Sale-A-Bration items! PLUS I offer bonus alternate ideas for the Paper Pumpkin kit each month just for my subscribers. Here's a sneak peek look at the bonus ideas for the December 2016 kit. I'll be sharing some project ideas in the coming days using items from the new Occasions and Sale-a-bration catalogs. And of course you can shop now for Occasions Catalog items - and earn free SAB goodies - in my online store.